I’ll walk you through mixing and forming the dough and if it’s not already your favorite pizza dough, it will be soon. Flour, yeast, and salt get whisked together. Add water, stir. That’s your dough. 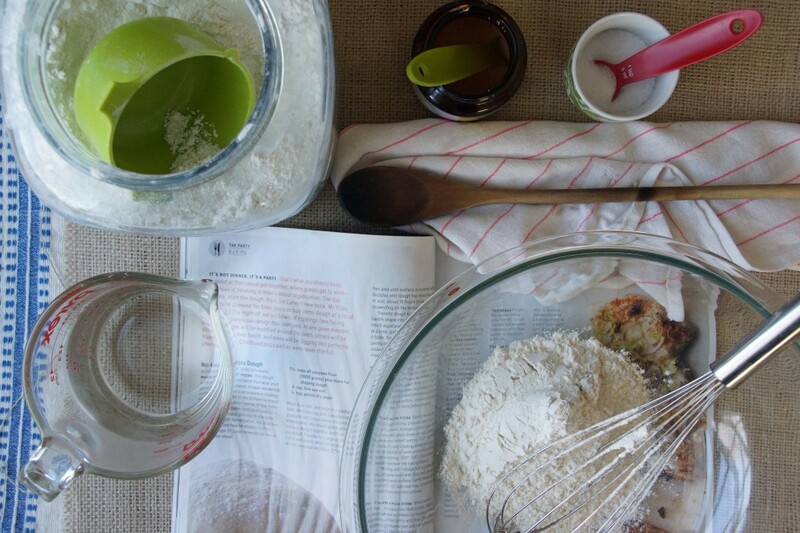 I love that it all happens in a big mixing bowl. No dough hooks, no food processors needed. 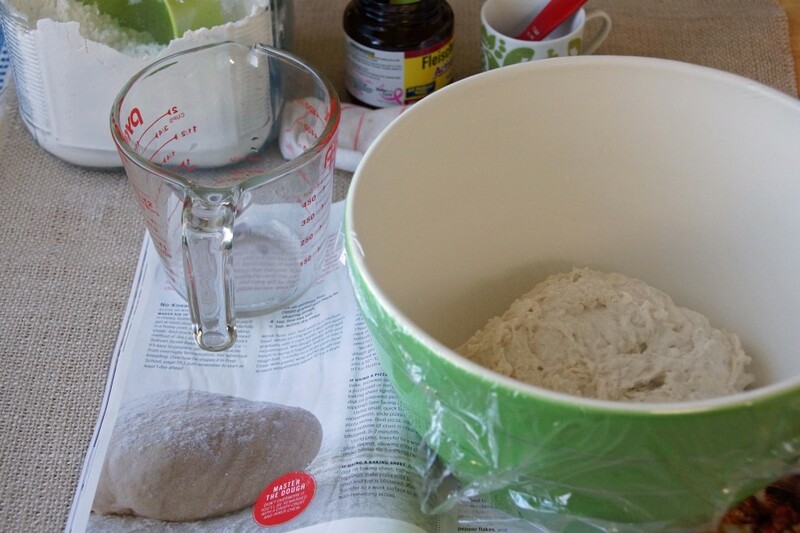 Transfer the dough to a clean bowl, cover with plastic wrap, and add the secret ingredient: TIME. 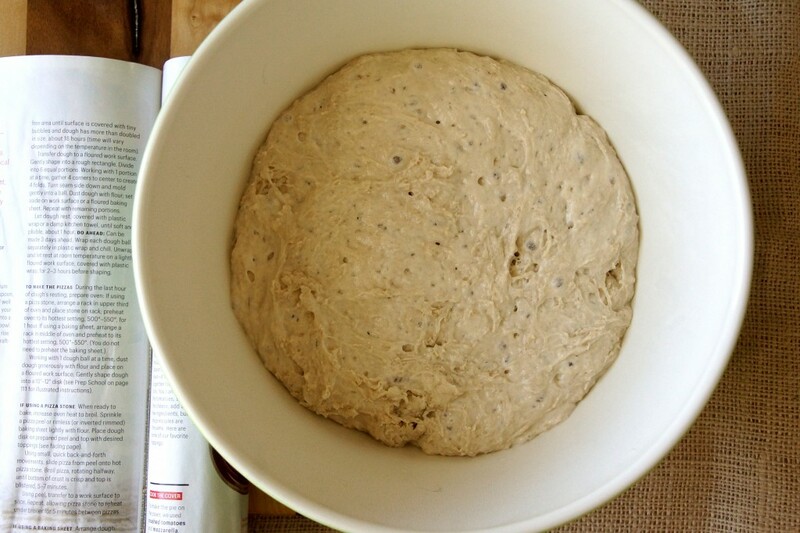 This dough needs to rise for 18 hours. That’s the only catch–your pizza night needs to be pre-meditated. After an overnight hour rise, the dough will double in volume. Turn it out and divide it into however many pizzas you plan on making. I prefer personal-sized pizzas because smaller portions of dough are easier to handle (and I’m bad at sharing). Form each portion of into a ball, cover, and let rest for an hour. While the balls of dough rest, preheat your oven. Crank it up as high as it’ll go and let it and a pizza stone heat up for a full hour. Don’t skimp on the preheat! 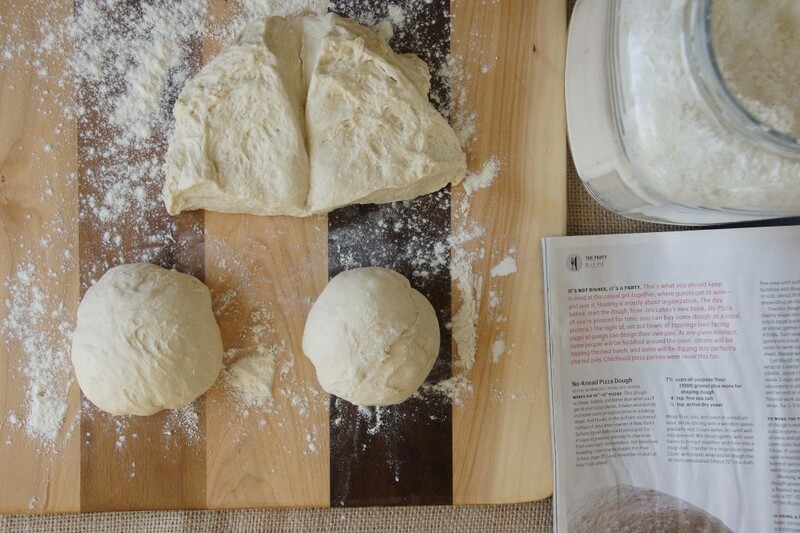 Pull and stretch the dough into a roundish form. This dough is a pleasure to work with: baby-soft and incredibly pliable. Toss it on the preheated pizza stone and quickly add your favorite toppings. Top it with whatever you’d like, but use a light hand–crust this good should be the star. Pop it in the oven and turn the broiler on–this is the key to the perfectly blackened bubbles. 5 or 6 minutes and you’re done. Pizza time! If you haven’t made this dough yet, it’s time. Try this dough! It might change your life, like it did mine. This dough will keep in the refrigerator for several days or in the freezer for months (though I’m never able to resist it very long). The crust is very good grilled, as well. Whisk flour, salt, and yeast together in a large bowl. Slowly add 3 cups of lukewarm water while stirring with a wooden spoon. Stir until a shaggy mass forms. 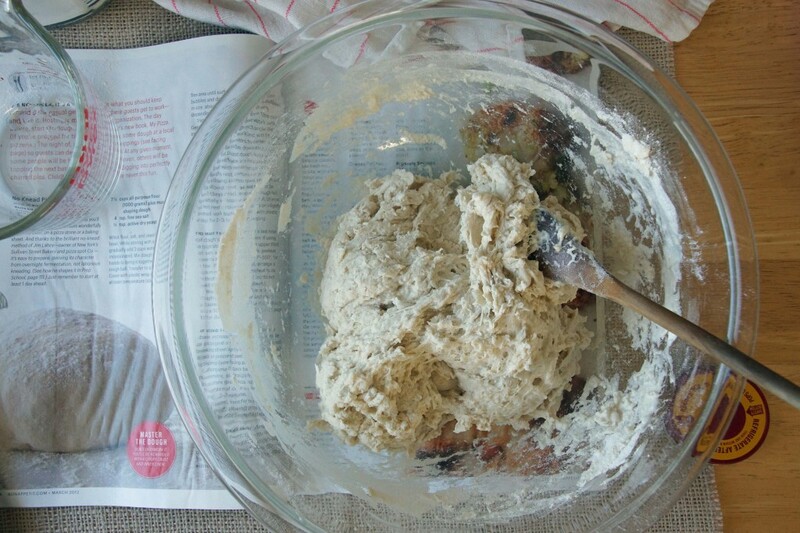 Gather the dough into a rough ball and transfer to a large, clean bowl. Cover with plastic wrap and let the dough rise at room temperature, in a draft-free area until it has at least doubled in volume, about 18 hours. While the dough rests, place a rack in the upper third of your oven. Place a pizza stone on the rack and preheat your oven to its hottest setting (mine goes to 550°) for 1 hour. To make the pizzas, work with one dough ball at a time. Dust with flour and gently stretch into a thin, round circle. Pull the hot pizza stone out of the oven, place the dough on the stone, and top. 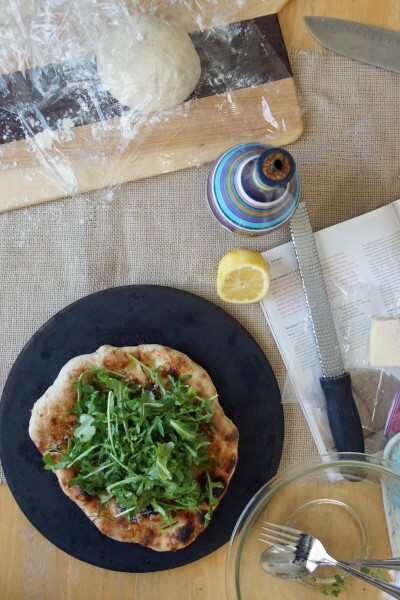 Have all of your ingredients ready to throw on the pizza as quickly as possible, as the dough starts to cook as soon as it hits the hot surface. Alternatively, you can place the unbaked crust on a well-floured pizza peel, top and carefully slide onto the hot stone. Return the pizza stone to the oven and turn the broiler on high. Broil until the crust is crisp on the bottom, blistered on the top, 5-7 minutes. Transfer to cutting board. Slice. Eat. Repeat. This recipe can easily be cut in half. I highly recommend using a pizza stone. If you don't have one, get one! Buying one costs less than having a pizza delivered, will last forever, and will make your pizza-nights infinitely better. Gorgeous, gorgeous pizza dough. 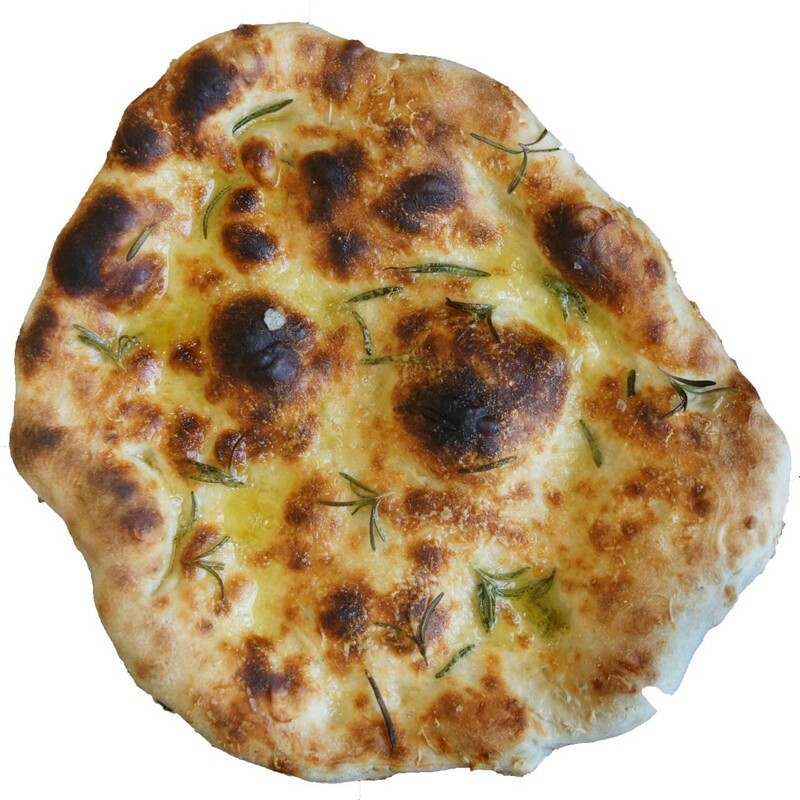 I’m a huge fan of Jim Lahey’s no knead bread, but I have never tried the pizza dough, if you can believe. I do need to try it! 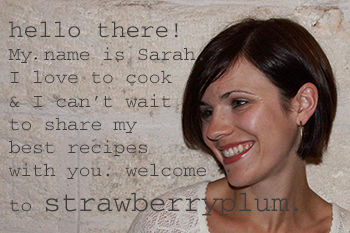 And thank you so much for linking to my pizza, I hope you try it! It’s a great crust & so easy…can’t wait to make it with your fresh pea salad. LOvely blog, first time here. Do you have a favorite flour? Have you tried a whole wheat version? At this point, I’ve only made the recipe using all-purpose flour (either Pillsbury or Gold Medal). I’d like to give it shot using “doppio zero” flour (the super fine flour that is used in true Italian pizza crust) and I’d love to try a batch with part whole wheat flour (though it will certainly cause my traditionalist Italian father to curse!!). I’ll update the post when I do. In the meantime, I googled “Jim Lahey no knead pizza whole wheat flour” and see that plenty of other bloggers have used at least part whole wheat flour with good results.